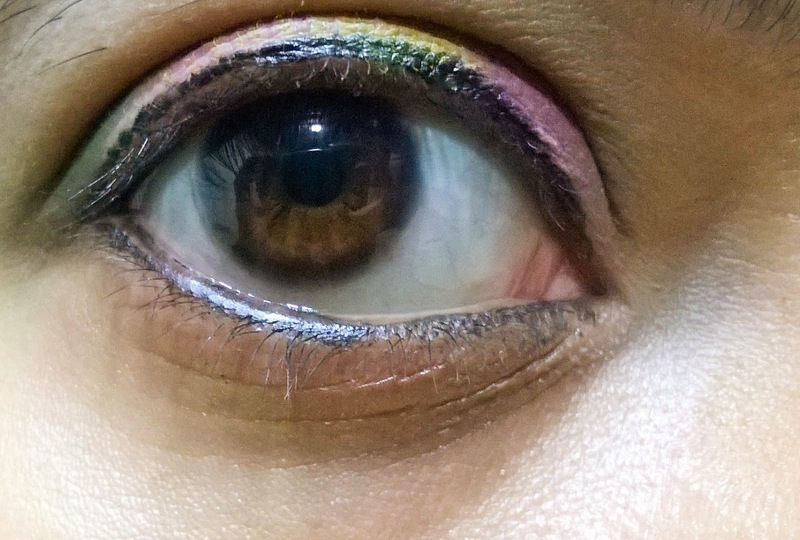 I love winters as I get to experiment more with my eye makeup without the tension of fading out. 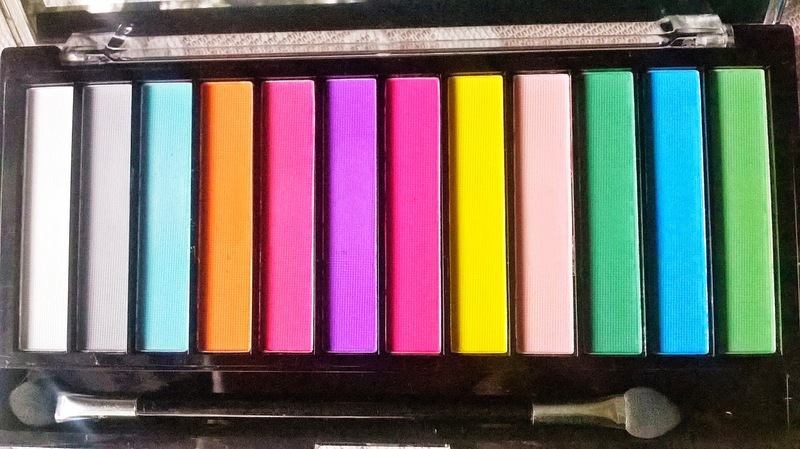 I have been eyeing for perfect matte shades for a long time. 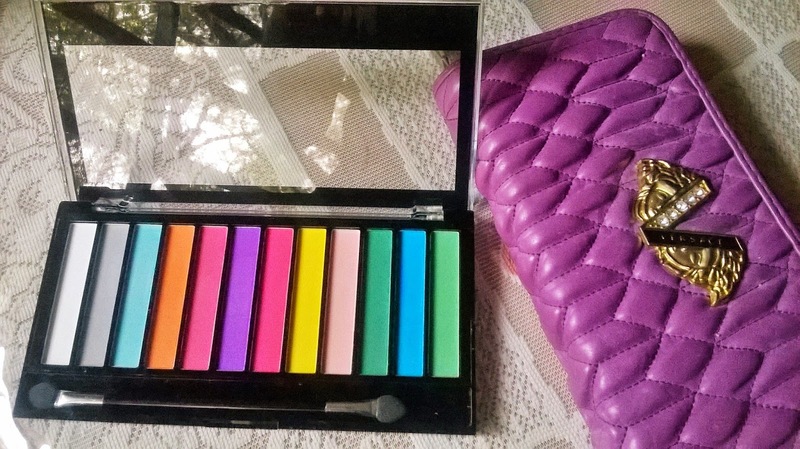 And so I got the Makeup Revolution Redemption Matte Brights Palette, which I will be reviewing today. 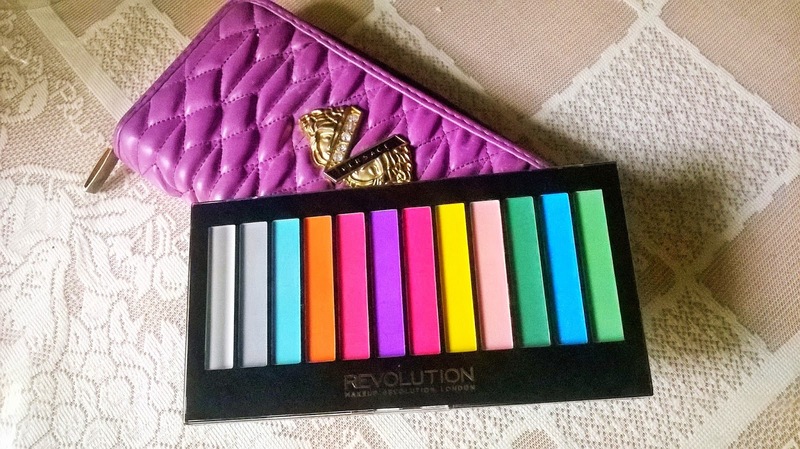 Packaging: Makeup Revolution Redemption Matte Brights Palette comes in a black base with transparent cover, through which you can see the amazing bright shades. There is a dual sided applicator. 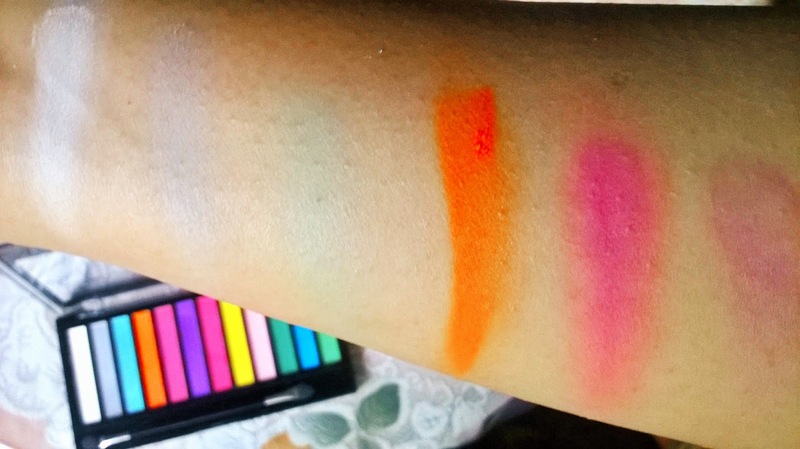 Product: There are 12 pure matte and pretty bright shades. 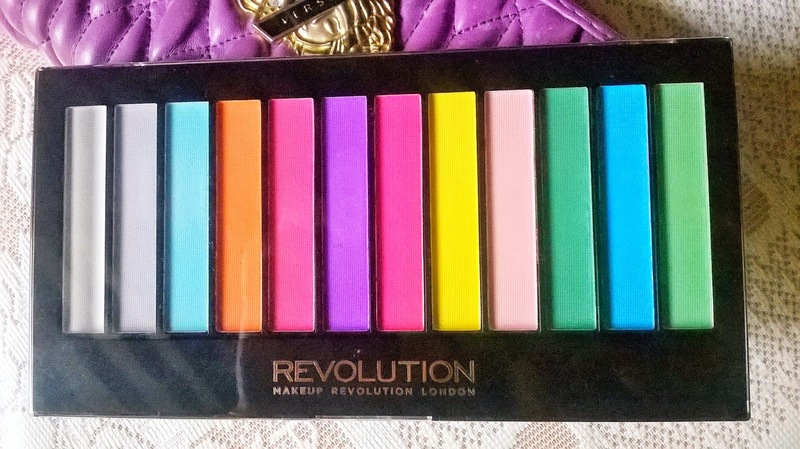 My Experience: Makeup Revolution Redemption Matte Brights Palette is a mix of really bright and perfectly matte shades. The packaging is sturdy but not that heavy. 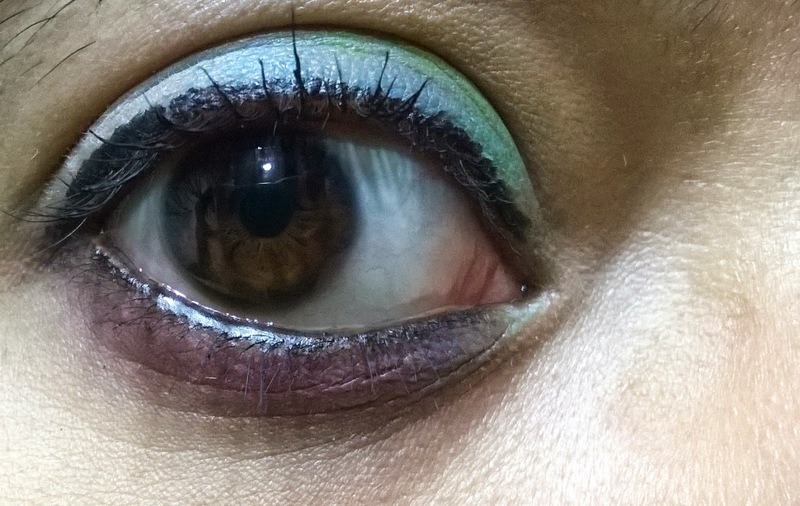 The shades are a mix of very pigmented to somewhat very light colours. 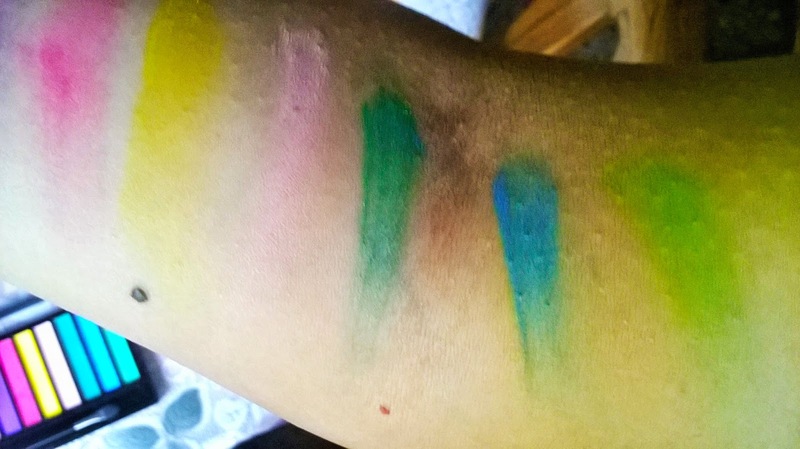 The second and third shade from left-a light blue and a silver one specially require a lot of effort to show on the skin. 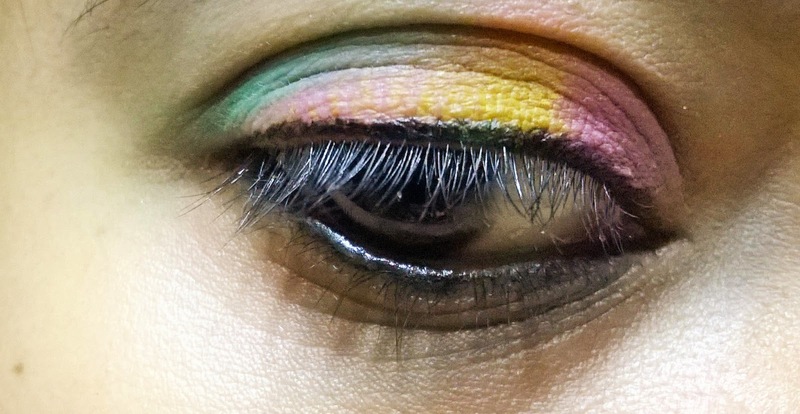 The most pigmented are the richer shades like the orange,hot pink,plum, Fuschia,dark green and blue shades. 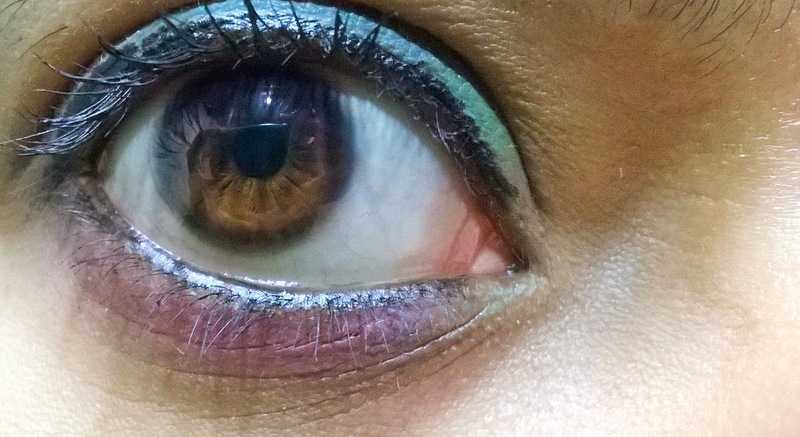 The rest of the shades like the white, yellow,peach and light green are moderately pigmented. 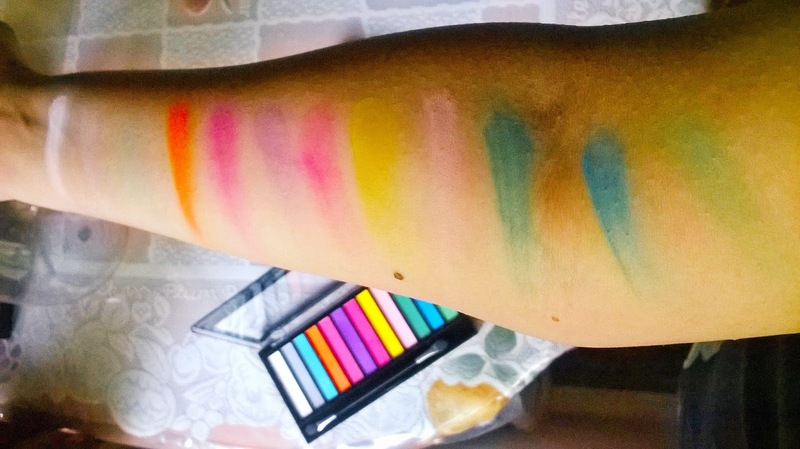 The texture of the shades are very powdery, so the less pigmented ones require a bit effort to be blended properly. There is a problem of fall out with the shades. However, they look very pretty with primer. 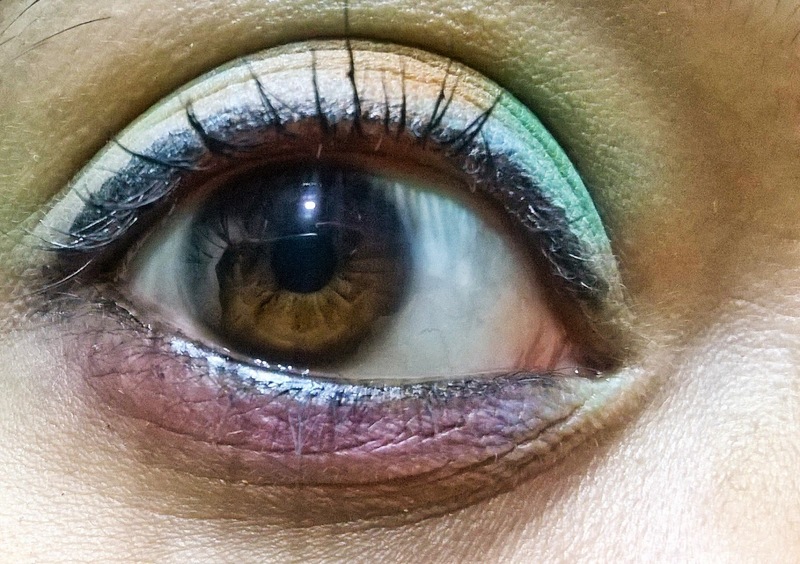 I am trying out different combinations with the vibrant shades. Also the presence of a somewhat neutral or black shade would have made it more versatile for shading.